Be the first to hear about their new releases and deals. Download the Booksprout app and search for Amanda Kimberley today! 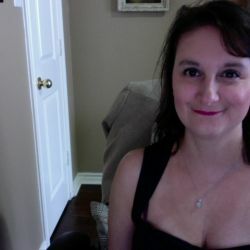 Amanda Kimberley has been writing for well over three decades in various genres. Her acclaimed Fibro and Fabulous blog is considered one of the best by Health Magazine and other leading health sources. Kimberley, along with thirteen other authors, were recently featured as Happy Ever After Hot List Indie Authors for the paranormal romance anthology Claiming My Valentine. Northern Texas is where Amanda calls home with her family and pets and cooking, yoga, dancing, strength training, gaming, and wrestling are some of her favorite things.